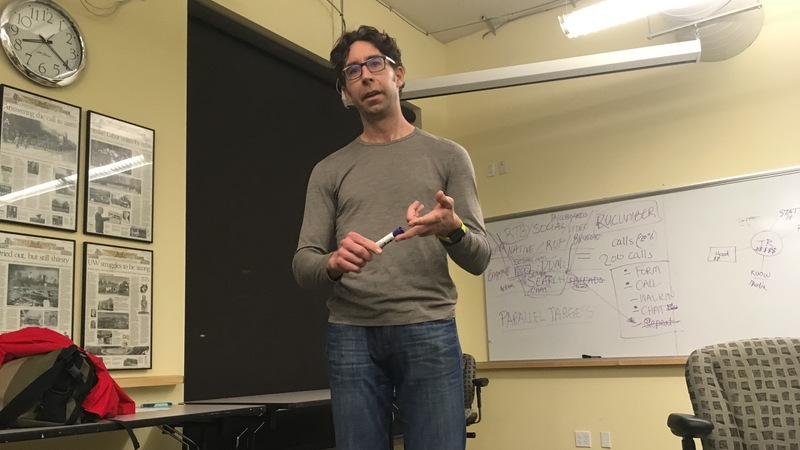 Luke Timmerman spoke with members and guests on Nov. 9 about how he made the move into entrepreneurial journalism, and how he maintains his audience and model successfully. He also shared tips and advice on self-publishing a book. Almost two years ago local journalist Luke launched Timmerman Report, a subscription publication targeting biotechnology professionals that offers timely, in-depth news and analysis about the industry. Readers sign up and receive several stories a week in their inbox, aimed to help them find a partner, prepare for their next big meeting, jump on an investment opportunity, hire an up-and-comer or land a new job. Luke has covered biotechnology since 2001, first at The Seattle Times, then at Bloomberg News, Xconomy and other outlets.